Crazy For Purple Hypoallergenic Teardrop Hoop Earrings: Created using Japanese matte glass seed beads in purple on a 40 x 20 millimeter (1 1/2 x 3/4 inches) silver plate hoop all on a surgical steel French earwire. Each earring has a faceted Swarovski® simulated amethyst purple crystal rondelle shape dangling from the top of the teardrop hoop. Swarovski is an Austrian producer of luxury cut glass crystal. 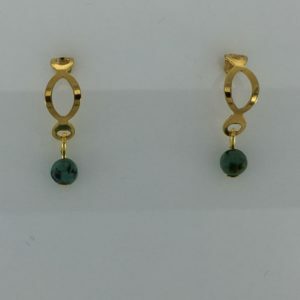 These classy earrings are sure to be an eye-catcher!